Well guys, it’s that time again! Settle in, and let’s talk about some piercingly potent passive pokémon powers! If hindsight is 20/20, then I have Superman’s super vision right now. When Pokémon Black and White Versions dropped earlier this year, our illustrious editor-in-chief, SBJ, encouraged the editors (and by that I mean he shouted down the stairs one day into the dungeon where he keeps us chained to our laptops when he threw down our daily ration of stale bread and stagnant water) that upon the release of the new games, we should try to relate our individual columns to them. For me, that meant articles about Moxie, Regenerator, Sand Force, and so on. But had I known that a certain steel-plated pinecone and its big brother evolution would be as popular as they are, I would have known a lot earlier to say that this is Ability of the Week: Iron Barbs AND Rough Skin! A three legged dog walks into a bar and says, "I wanna know the guy who shot my paw." In Pokémon it is imperative to get off on the right foot. A slow start can be debilitating and cost you the match. That's what a good lead Pokémon should prevent. Leads come in many varieties, and this week I'll highlight a few. SBJ sounds smart this episode. Talks with Wil and David about some Pokemon news and E3. Also go over some glitchy stuff in Pokemon Black and White. 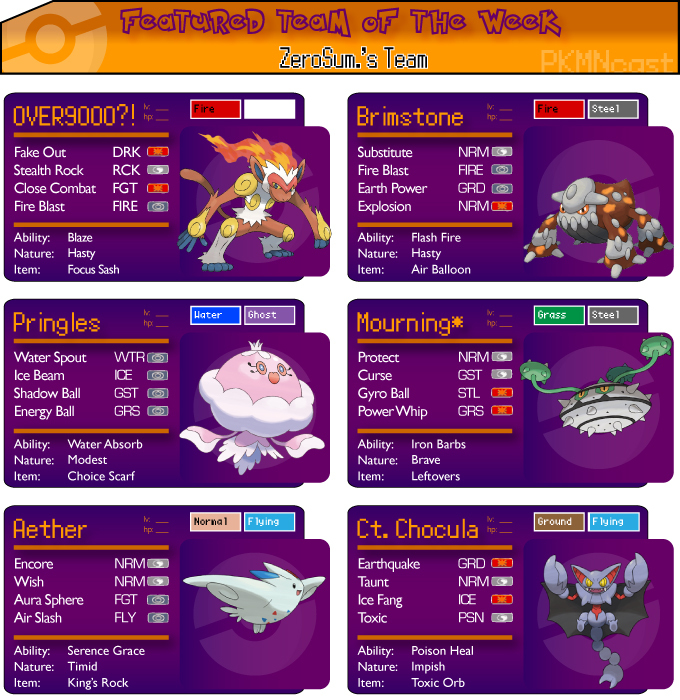 Finally, as always, we finish it with Pokemon of the Week. He's big, he's bad, and he makes a great Gyro-Baller. He's topped the usage charts at Smogon, and will no-doubt be a huge contender at this year's VGCs National and World Championships. He is Ferrothorn, and he's taken the Pokemon World by storm.